It's True. In 2018, There's Measles in Maryland. Here's the low-down on who, what, where, and why measles is making a comeback. 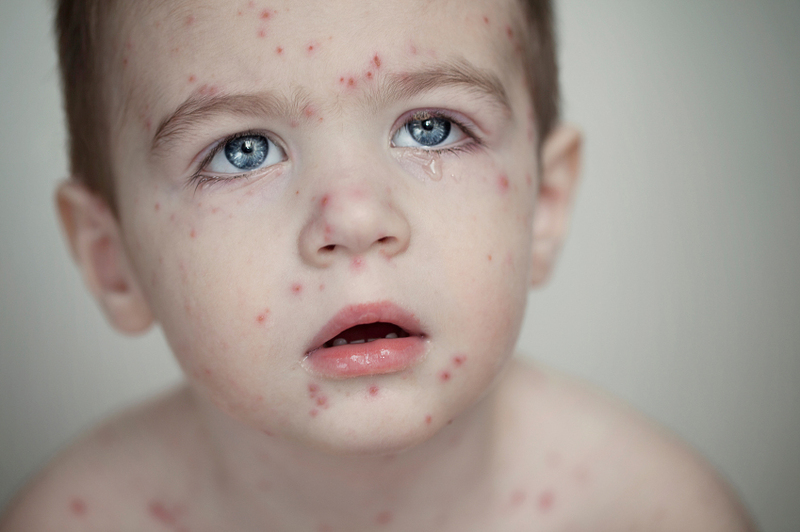 For those who thought measles would be eradicated with the rise of vaccines, think again. Measles is back. Maryland is one of 21 states containing a measles outbreak, according to the Center for Disease Control and Prevention. The Maryland local who contracted the disease had been traveling, according to Fox 5 Baltimore. The outbreak is part of a larger 2018 trend where, so far, 107 measles cases have been diagnosed across the United States. Locally, that includes Maryland and Washington, D.C.
People who aren't vaccinated are susceptible to the disease, which begins with a high fever, cough, and runny nose. A few days after these symptoms begin, a rash breaks out. Fevers can go as high as 104 degrees once the rash appears, and the rash conjoins as it spreads across the body. In 2000, the measles virus was eliminated in the U.S., according to the CDC. However, numbers have risen since then. The record highest number for the measles since 2000 was in 2014, where the CDC documented 667 cases across 27 states, including unvaccinated Amish communities in Ohio. The disease is common in Europe, Asia, the Pacific, and Africa. This means unvaccinated travelers are susceptible to catching it and can then pass it on to other unvaccinated people upon returning to the U.S. In 2015, an amusement park in California was likely the source of an outbreak, according to the CDC. Before international travel, the CDC recommends getting vaccinated to prevent the spread of disease. Infants between 6 and 11 months should receive one dose of the vaccine, while children 1 year or older should receive two doses separated by about a month. Teenagers and adults who do not have immunity should do the same. Sound off: Why do you think measles is on the rise in the U.S., when it was once deemed eradicated? Let us know in the comments below! Starbucks drama: A leaked internal memo reveals the earliest Pumpkin Spice Latte release ever.